15 minutes of free exploration. 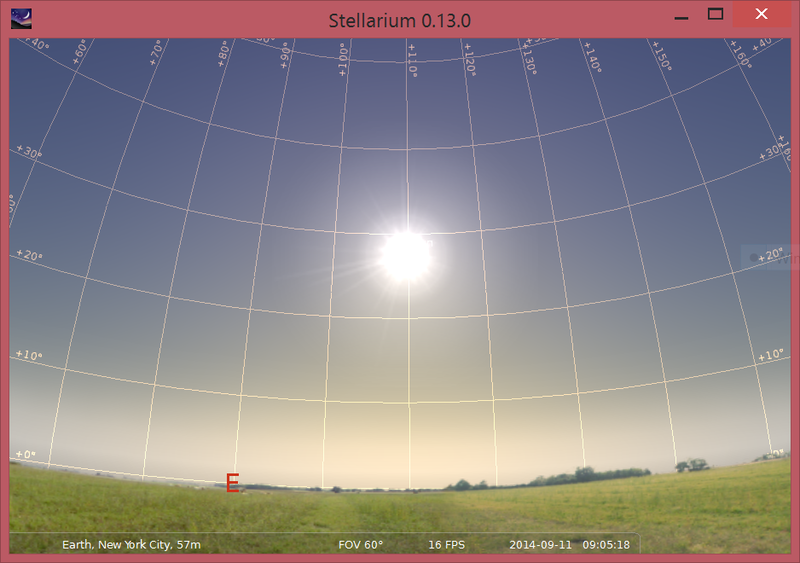 In your notebook, make a list of things you can do using Stellarium. (a) What’s visible at 9 PM (21:00) tonight? Which planets? Which direction should you look? (b) The Moon? Which direction? What phase? (c) The Big Dipper and Polaris? 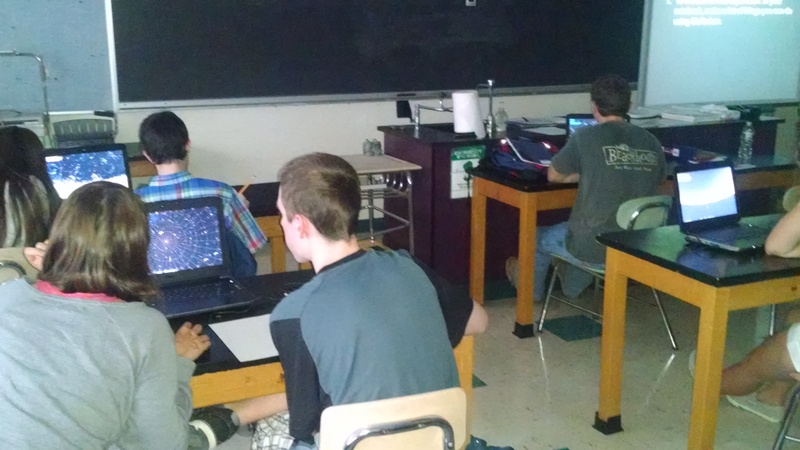 Describe/Draw how the stars move during the night when facing N, S, E, and W.
Repeat #3 at the North Pole, the Equator, and the South Pole. 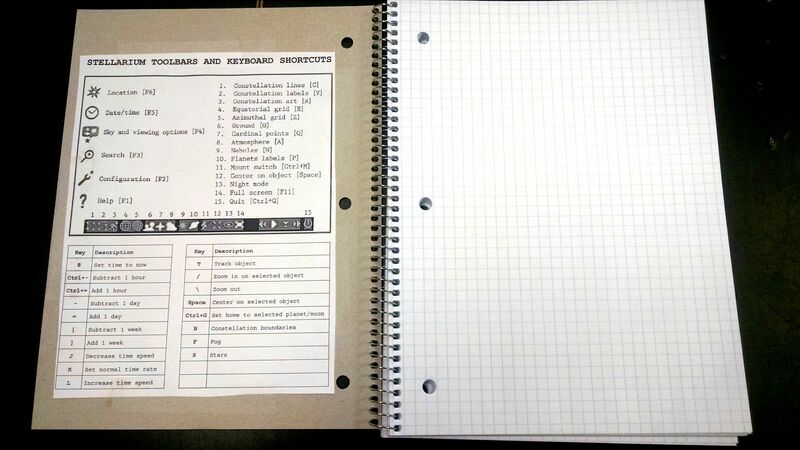 Tomorrow, I’ll have students cut and paste a quick reference guide for Stellarium onto the inside front cover of their lab notebooks. I made the guide with help from here and here.